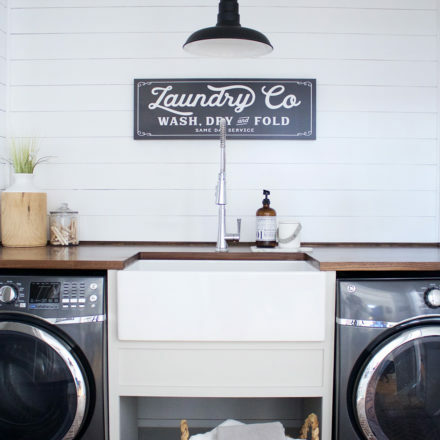 The Sinkology INSPIRED Collection of fireclay farmhouse sinks celebrates the creators of the world: the people who wake up, mess up, clean up, and start up all over again. 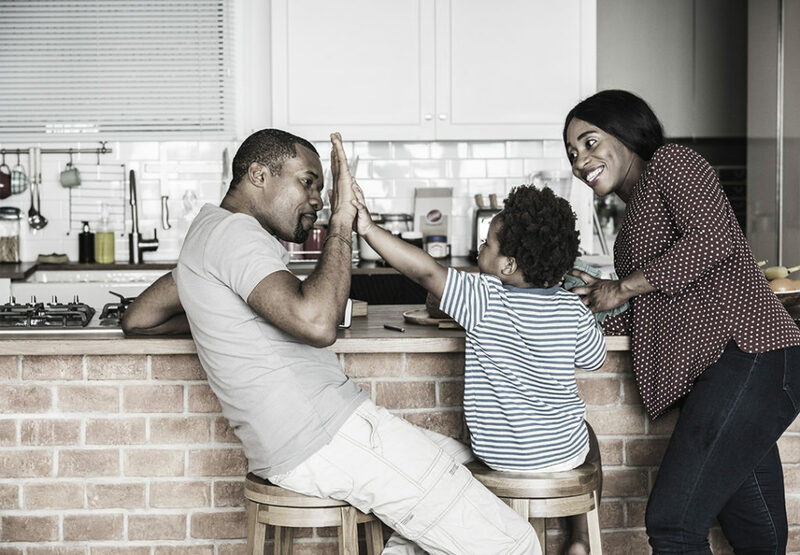 At Sinkology, we want to inspire you to think differently; to see the beauty in your home and your life. Our INSPIRED line of fireclay kitchen sinks offers the timeless style of farmhouse sinks, combining a classic look with modern functionality. 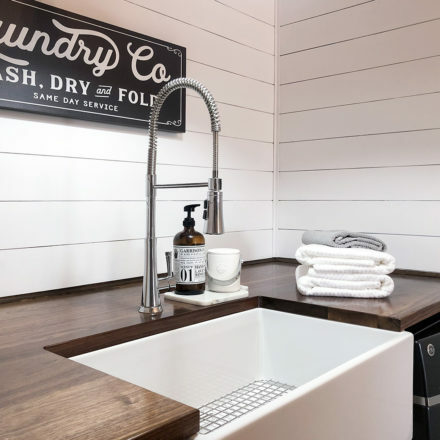 Sinkology’s INSPIRED collection combines the beauty of farmhouse style sinks with the durability of fireclay—creating kitchen sinks designed to inspire your everyday life. FIRECLAY: Our fireclay material is hand-selected as the perfect combination of durability, density, beauty, and functionality. DURABILITY: Sinkology’s Fireclay sinks are fired with temperatures that reach 2100*F to blend clay and glaze and create a dense, ultra-durable material. INSTALLATION: Designed for easier farmhouse-style installation, with a level, flat bottom and 90-degree side walls. 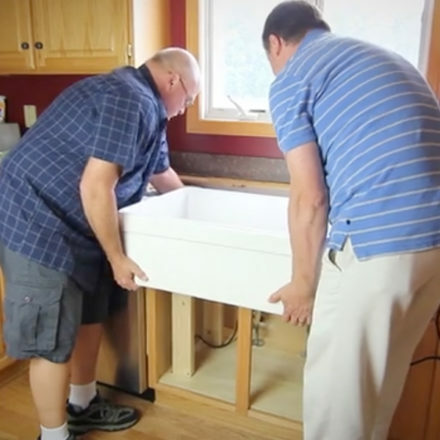 SUREFIRE FINISH: The Sinkology SureFire Finish serves as an extra-thick protective shield for your fireclay sink. 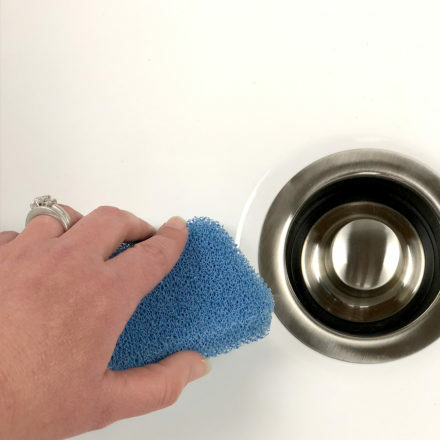 EASY CLEANING: Sinkology Fireclay sinks are reinforced with our Sinkology SureFire Finish to lock in its beauty and create a surface that is non-porous and thick for easy, on-the-go cleaning. The 30 in. 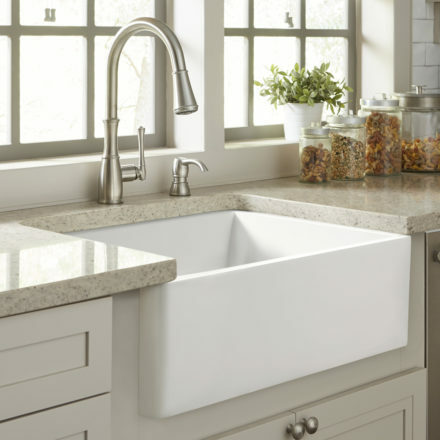 single bowl, apron-front Bradstreet II offers the elegant look of a farmhouse sink with the durability and easy-cleaning nature of fireclay to keep your kitchen beautiful and functional. 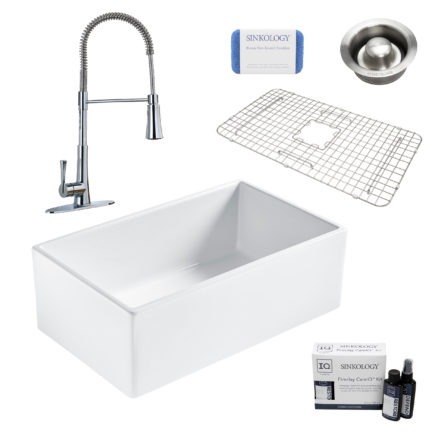 The Bradstreet II is designed to withstand the needs of a busy kitchen without sacrificing the elegance of a classic apron-style farmhouse sink. 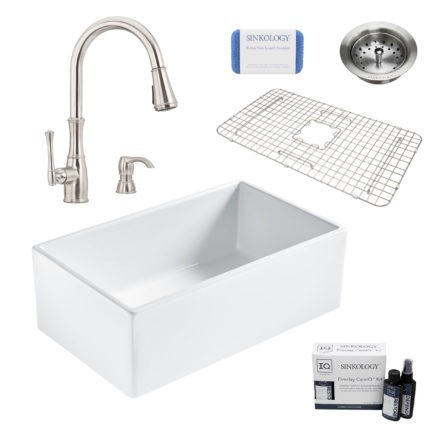 The Bradstreet II provides the signature look of an authentic farmhouse sink with generous space for filling pots, stacking dishes, cleaning, and preparing meals. The 33 in. 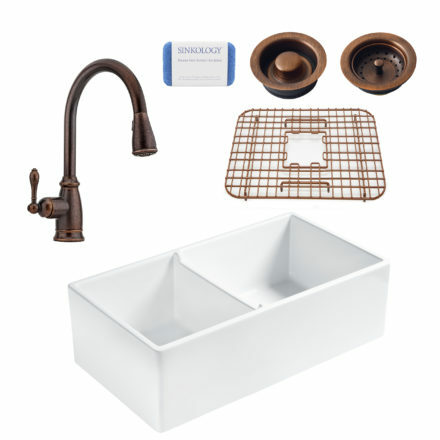 double bowl, apron-front Brooks offers a traditional style of a classic farmhouse sink for families looking for premium design and durability without paying premium costs. 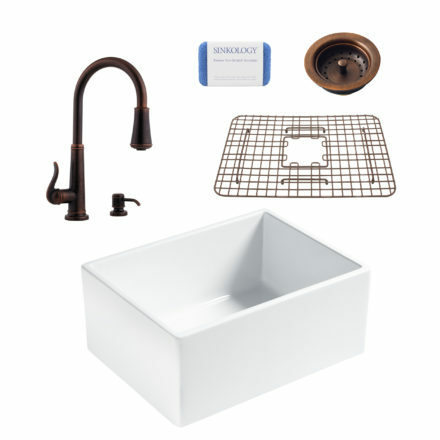 The Brooks blends the classic look of a traditional fireclay farmhouse sink with modern enhancements for easy functionality. The traditional farmhouse double bowl design provides space for soaking, hand washing, drying, and stacking dishes for easy kitchen living. The 24 in. single bowl, apron-front Wilcox is handcrafted to deliver the INSPIRED line to your kitchen in a small-but-powerful fireclay farmhouse sink. The Wilcox’s compact and beautiful design is a stunning solution for your home’s small kitchen, prep area, laundry room, or tiny-living kitchen. 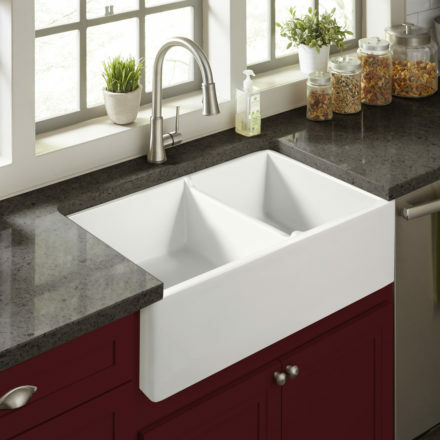 The compact, single bowl design ensures you get all the benefits of a farmhouse sink without compromising the flow of your space. Browse Sinkology fireclay kitchen sinks to find the perfect style for your home.